Hello Doc, It’s been almost two years since we last spoke. I am one of your success stories. After our 1st session I have never smoked again (not even a drag). What I would ask of you is could you send me another copy or copies of the breathing exercises? You can e-mail them or send them to the new address above. Thank You…you’re great, I swear by you! Dear Joseph: I have been a non-smoker for exactly one week today. I can’t tell you how wonderful I feel. I never thought in a million years I would be able to quit smoking. This new path has been such a neat adventure. I have so much more energy, confidence and a brighter outlook. I love taking deep breaths throughout the day. I can smell things that I never smelled before … and the aroma of dirt smells wonderful! *LOL* Looks like I will be able to climb Mt. Sinai after all. You are a true blessing and you have a gift from God. I have challenged my employees – anyone who wishes to quit, I have offered to pay the fee to see you. It has been 3 months today since I quit smoking. I still can’t believe it (nor can anyone else)! There has never been any withdrawal, urges, or discomfort of any kind. It’s as if it simply never was. I don’t have to do anything to “shelter” myself from contact with smoking things or people. I smoked for almost 50 years and had tried EVERYTHING!! My ability to breathe and move were seriously compromised. I am off all of my meds, my oxygen is up 2-3 points average, and I’m not afraid any more. I truly believe you saved my life. Thank you with all my heart. My name is Nick. I was a smoker for the last 20 years. I tried to quit in the past a few different ways- unsuccessfully. I was not a believer in hypnosis, but called Joseph on a last ditch effort, hoping it would work. Although I had no real faith in it and much to my surprise after one session with Joseph, I quit a pack a day habit immediately and with very little effort. It’s been 4 months and I am still completely amazed with the results. I still can’t believe how easy it is for me not to smoke, there is just no compulsion. The hypnosis session has paid for itself twice already with the money I have saved from quitting smoking. I have since told every smoker I know about how I quit and about how easy it was and to call Joseph! It was the easiest thing in the world. Joseph, Three days and counting…well, I can’t believe it is this easy. Thank you so much. “Since coming in I have not smoked at all. I don’t even have the urge to smoke. I sleep better, feel more rested, and have lots of energy. Wishing you continued success with the people who are fortunate enough to see you, like I was! So I just passed my 2 month mark smoke free (June 4) and am going strong! You are amazing! How do you do this? I don’t really miss either addiction! This has been fabulous! Hi joseph! Just wanted to let you know that I’m still not smoking. Today is day 18! I feel good and everyone is very proud of me. Thanks! 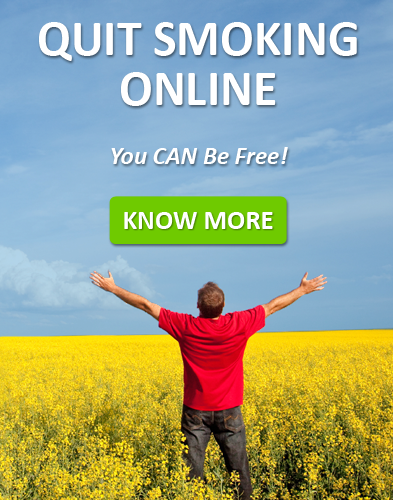 Hi Joseph, It has been over 3 weeks since we had our session and I am still smoke free…yay!